They tend to be intuitive and adventurous people as well. They're the the problem solvers you want in any work or school project. These are the Spock-types of them all. They are logical and practical, almost to a fault. They have trouble thinking too far outside the box and lack creative pizazz. People with long fingers are more curious. Their short-fingered counterparts tend to be great leaders. 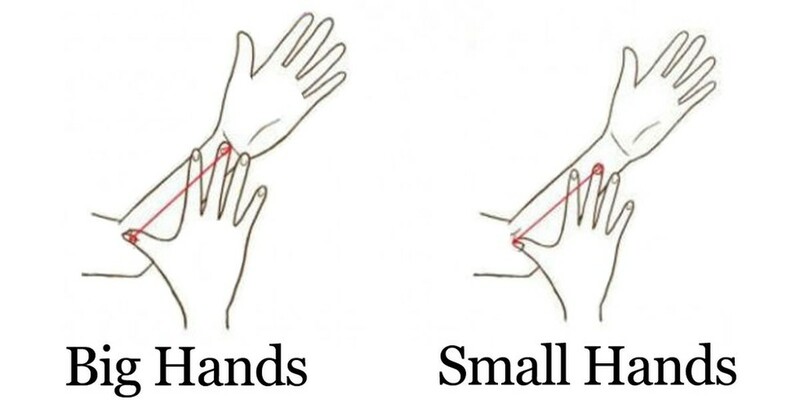 Those with smaller hands take greater risks. They're as generous as they are adventurous and their relationships, platonic and romantic, tend to be wild and dramatic. Small handed people are pragmatic. They tend to be logical and seek direct and simple solutions for problems. Large handed people are sensitive perfectionists. People with larger hands tend to want to see things done perfectly, and they hate seeing things out of order. They tend also to be more sensitive and empathic.